Since Spanish explorer Don Tristan de Luna first set foot in Pensacola in 1559, our city by the bay has been in the center of historic events. That is certainly the case for the history of African Americans, with people and events in Pensacola forwarding the struggle for civil rights and overall excellence in the black community. 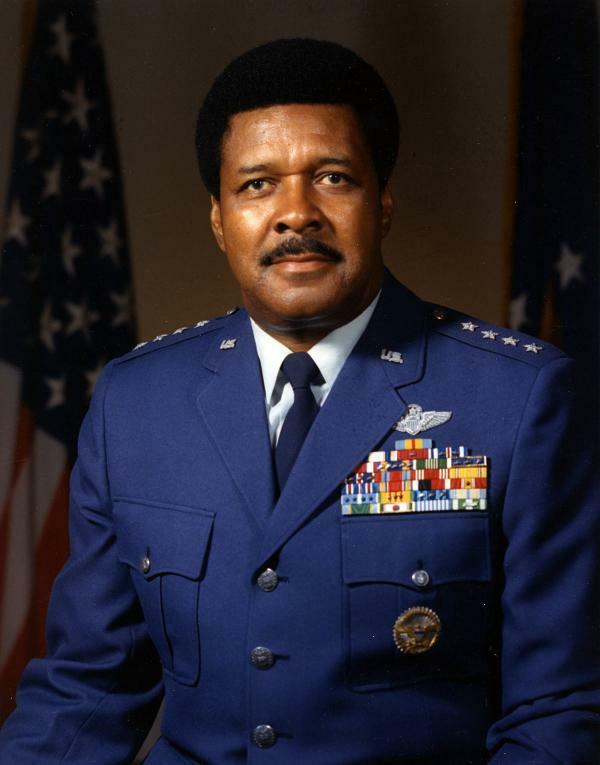 Gen. Daniel "Chappie" James, Jr.
Gen. Daniel "Chappie" James, Jr. was born in Pensacola in 1920 and was the first African American four-star general in the Air Force. James was among the famed Tuskegee Airmen. He served in three wars — World War II, Korea and Vietnam. He also served as commander in chief of the North American Air Defense Command, better known as NORAD. In 2018, James’s childhood home, located at 1608 Martin Luther King Jr. Blvd. in downtown Pensacola, was opened as the General Daniel "Chappie" James Museum and Flight Academy. The "Chitlin Circuit" was a collection of performance venues throughout the eastern, southern, and upper midwest areas of the country that provided commercial and cultural acceptance for African American musicians, comedians, and other entertainers during the era of racial segregation. In the years leading up to the Civil Rights movement, segregated American cities helped give birth to a touring circuit that provided employment for hundreds of black musicians and eventually brought about the birth of rock &apos;n&apos; roll. Abe’s closed its doors in 1981. A pub called Chuzoku is housed in the old Abe’s location now. 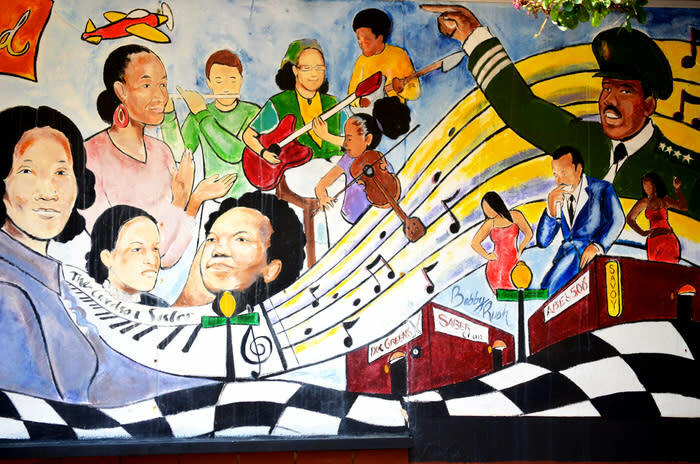 The nearby Five Sisters Blues Café, located at 421 W Belmont St, exhibits posters from Abe’s shows. 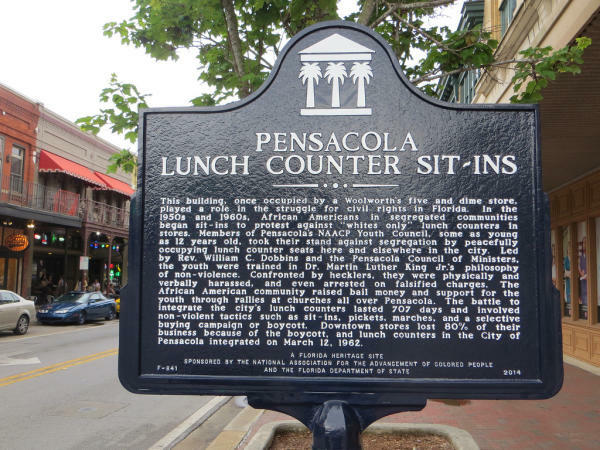 The Pensacola Lunch Counter Sit-Ins led to the integration of downtown cafes. From 1960 to 1962, protestors conducted sit-ins at downtown Pensacola department store lunch counters, demanding the restaurants be integrated. The events are commemorated in a historical marker located on Palafox Place near Garden Street in downtown Pensacola, outside the former site of Woolworth’s department store. “Confronted by hecklers, they (the protestors) were physically and verbally harassed and even arrested on falsified charges,” according to the marker. As a result of the sit-ins, and an accompanying boycott of downtown businesses, the lunch counters were finally integrated on March 12, 1962. Julee Panton was a free black woman who owned a home in downtown Pensacola in the early 1800s, during the slavery era. Historians write that she acquired her simple, wood-framed house, built in 1805, for $300. Panton operated her own business selling candles and pastries, but she is also believed to have helped many slaves to escape to freedom. Her home is now called Julee Cottage and is part of Historic Pensacola Village, a complex of historic homes and buildings in downtown operated by the University of West Florida Historic Trust. Patton’s cottage, now on E. Zaragoza St., is the only surviving Pensacola home reminiscent of the urban Creole architecture of the French Quarter in New Orleans. It now houses an exhibit on black history in West Florida, with visiting hours Tuesday-Saturday. A native of Pensacola who graduated from Woodham High School in 2000, Justin Gatlin has won several Olympic medals and world championships in track. Although he has been twice temporarily suspended for rules violations, he has returned both times to compete and win. Gatlin, who specializes in 100- and 200-meter races, made world headlines in 2017 when he came in first place in the 100-meter at World Championships, beating favored Usain Bolt. Gatlin is currently in training for the 2020 games in Tokyo.